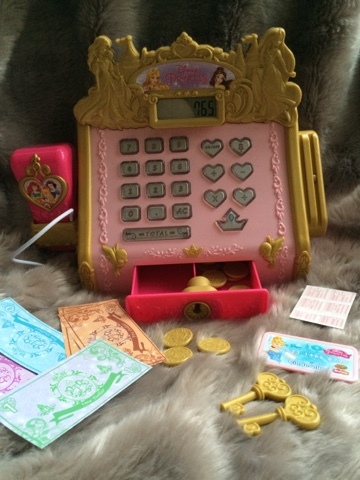 Disney Princess Royal Boutique Cash Register by Jakks Pacific is a really sweet electronic toy to add to any princess boutique - or in our house, the cafe corner in the playroom! The packaging is well presented so that you can see all the extras at a glance and its also simple to remove from the box - no screwdriver required! Luckily this toy comes with batteries too so it's ready to play straight from the box! 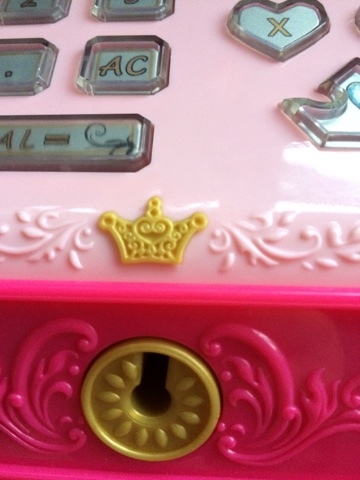 The cash register comes with two keys - there is a slot on the base to store your spare one, a credit card, gold coins, notes and a barcode to scan. Plenty of pretty moulding and details - right down to the heart shaped buttons! Love that there is an off switch but the best button is the little microphone one - it plays loud speaker announcements - my personal favourite is the one about a glitter spill but also listen out for the lost slipper announcement too! The barcode scanner is a lovely little touch. 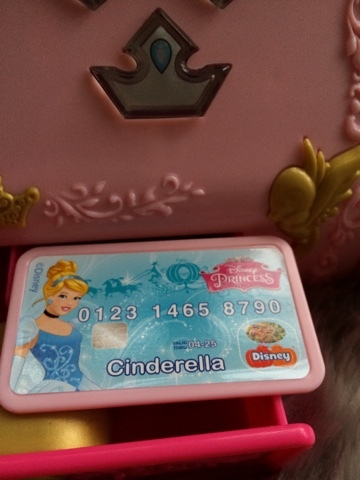 Love the chip 'n' pin cinderella credit card! 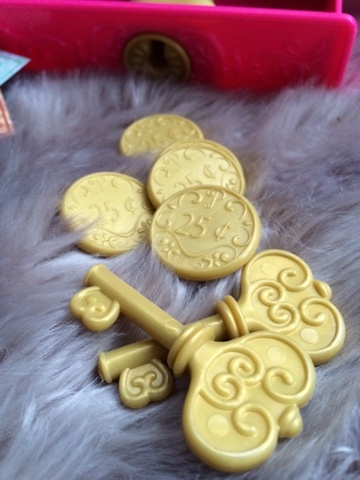 The set comes with plenty of gold coins and 2 keys for the cash register drawer. 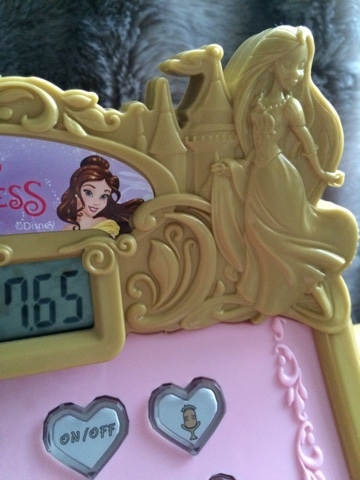 Really great princess details throughout - look at the little gold crown. 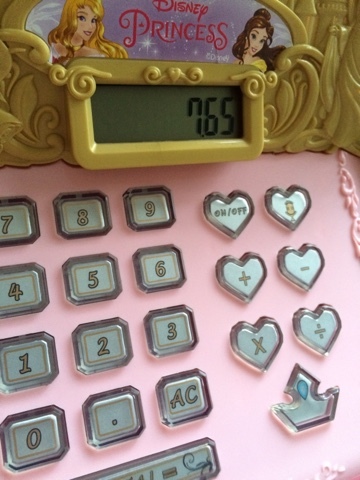 The cash register is actually a basic calculator too, the bottom button plays magical princess sounds and the total button makes the till drawer pop open. 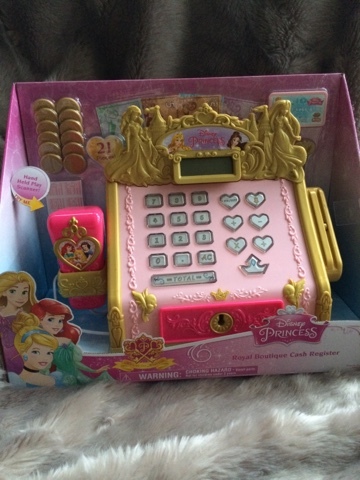 Disney Princess Royal Cash Register available from Amazon, Smyths and other toyshops. 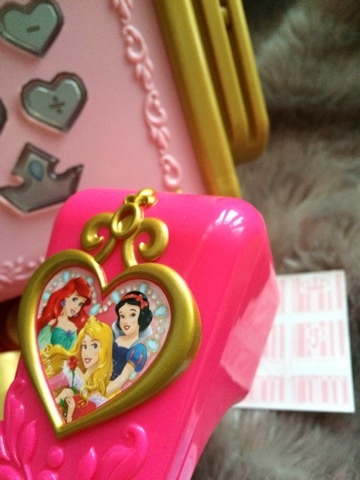 Disclaimer: I received the Disney Princess Royal Boutique Cash Register for the sole purpose of this article. This article contains an amazon affiliate link.